I’ve always been a junky for the exploitation cinema of my youth – the b-movies peddled from the 1960’s through the 80’s as double features, which included any number of horror, science fiction, martial arts, biker, and other films of the era. Of these, many were international movies, from France, Germany, and in particular “giallo” works from Italy. I saw every Mario Bava giallo film before being old enough to realize what a genius he was, instead just reveling in the colored lighting, unique cinematography, and parade of troubled killers. In 1977 one of my best friends moved from our neighborhood in southern California to Philadelphia, and it was during our trip out there we ducked into a trashed downtown theater of the “grind house” variety to see the latest Italian import, “Suspiria.” As the movie began with the sound of bells, bouzouki, and demonic voice chanting “la, la, la, la, la, la, la…..la, la, la, la, la, la……witch!” I knew this was no low budget import, but something more accomplished and frightening, driven by the bizarre prog-horror-rock music of Goblin. We were very well scared by this movie, and it’s become a favorite – I’ve kept upgraded versions in my collection ever since this first viewing in that creepy run down theater. After this film, and 1978’s “Dawn of the Dead (Zombi),” more of the soundtracks produced by Goblin came to my attention, along with their first two releases – 1975’s “Profondo Rosso” and their progressive rock debut – 1976’s “Roller.” I also purchased their strange and challenging progressive rock release “Il Fantastico Viaggio Del Bagarozzo Mark” from 1978, which includes vocals in Italian. So it was with great anticipation I attended the first tour put on in the United States by the remaining members of Goblin this October at the Warfield theater in San Francisco. 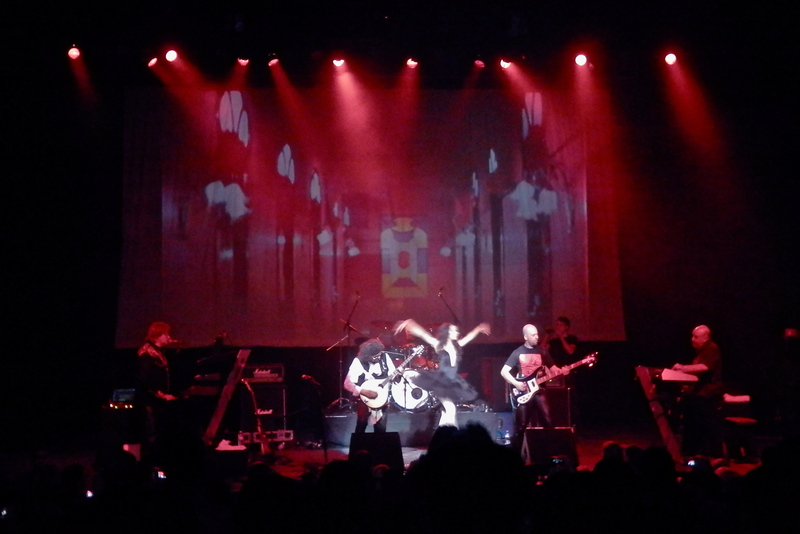 The show paid off on expectations, though parts were rather repetitive, interest was sustained as the 5 piece band was augmented by clips from the horror films that inspired so much of their music, in addition to a lovely dancer who graced the stage during several key sequences. 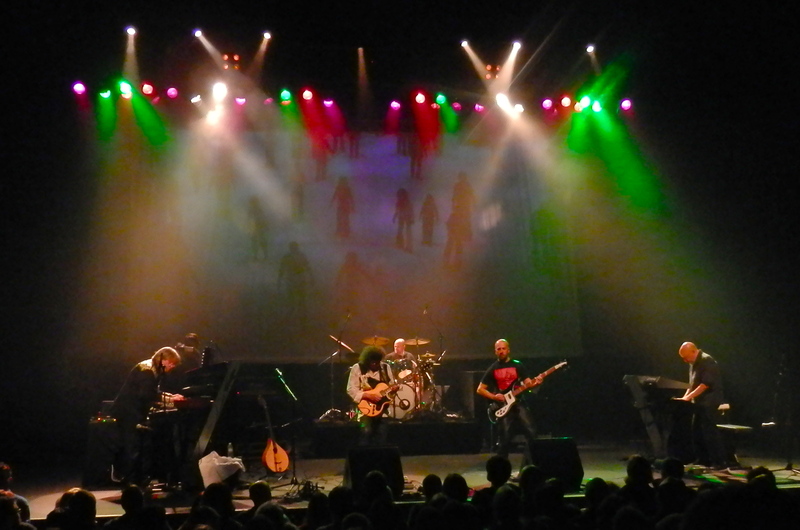 Standout tracks included “Mad Puppet” from Profondo Rosso, “Goblin” from Roller, Suspiria, and Tenebre – a rare example of vocalization, even if via “vocoder.” The band including original members Claudio Simonetti (keyboards) and Massimo Morante (guitars) along with additional musicians, were all very adept at recreating the sinister, haunting sound of the original soundtracks, in addition to a selection of their excellent progressive rock works. It was clear the band was as excited to be playing in San Francisco, as we were to be seeing them here. After 36 years, quite a wait, let’s hope they rise again.